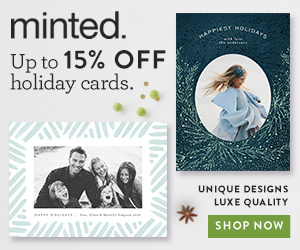 Giveaway – Win $150 to Spend at Minted! EXPIRED!!! Congratulations to Christina H! 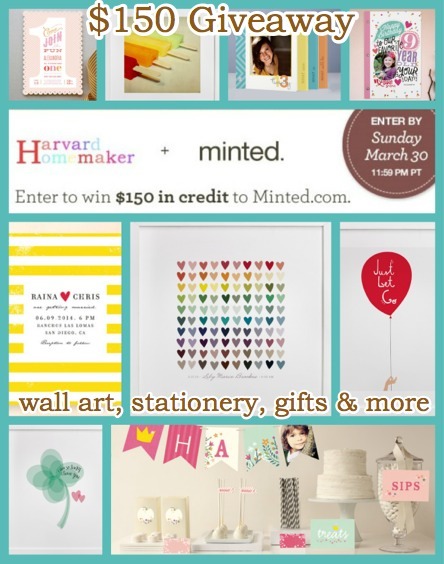 You just won $150 to spend at Minted… woohoo!!! You have an email in your inbox from me to tell you how to redeem your prize. Thanks for entering, everybody! 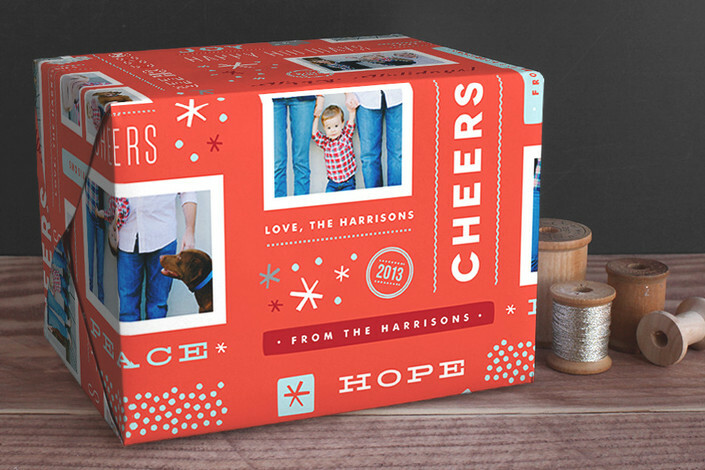 If, like me, you didn’t realize how many great products Minted carries (beyond their awesome holiday cards!! ), then please take a look through this post to get a sense of all that they have to offer! You can even save your winnings to spend on your holiday cards next fall since the winning code will be good until 1/10/2015. Disclosure: Some links in this post are affiliate/referral links. Please click here for further explanation. STEP 1 – JOIN THE FUN AT HARVARD HOMEMAKER! Please follow my blog (if you don’t already!) to keep up with me! If you want to follow along via Facebook, simply click “like” in the icon. You will find the form below here over at Minted (or you can click the image below to take you there). Simply sign up with your name and email address, and they will randomly choose a winner after the giveaway expires promptly at 11:59 pm PT on Sunday, March 30, 2014. The winner will be notified by me via email. I will also announce the winner here on this post as well as on Facebook and Twitter. 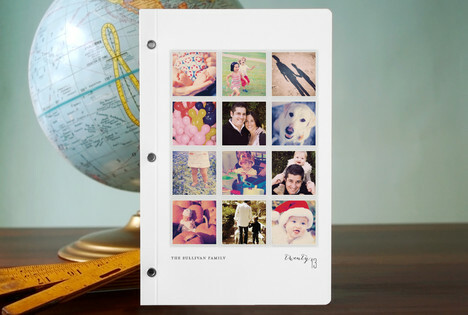 THERE IS SO MUCH TO CHOOSE FROM AT MINTED! To give you an idea of what Minted offers, I have selected some of my favorites below. 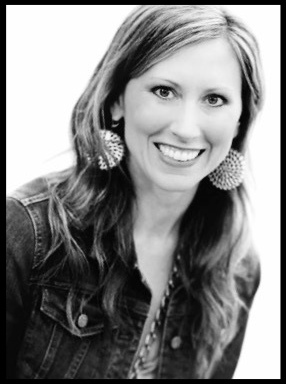 Please note: You can click on any image below to see where that item can be found on Minted’s site. PHOTO ART – MY FAVORITE!! I recently took this A Year in My Life Collage and changed the text to create my own custom art! 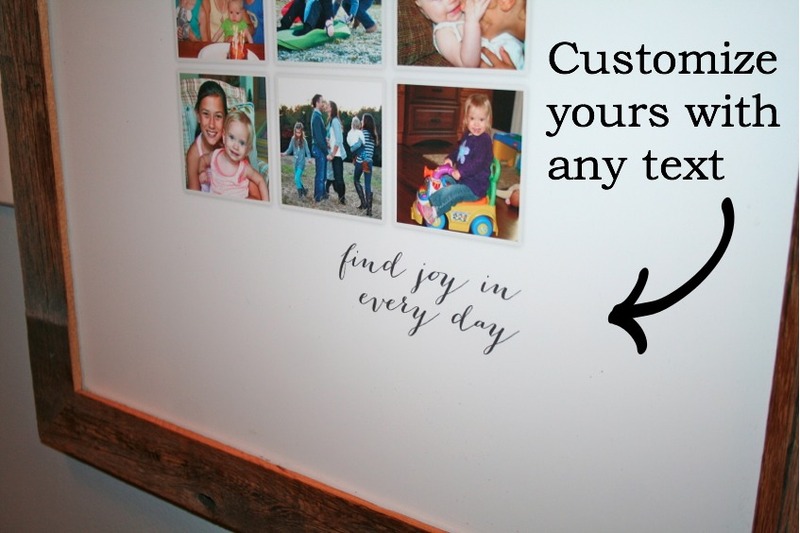 See this post for all the details, including a glimpse of where we hung it in our home. I am in LOVE with our new piece! It makes me so happy, and I can’t say enough about its quality. Beautiful! You can change the text and choose from different frames and sizes! You can also order all artwork unframed. Oh my gosh – this Doggie Heaven print is priceless. 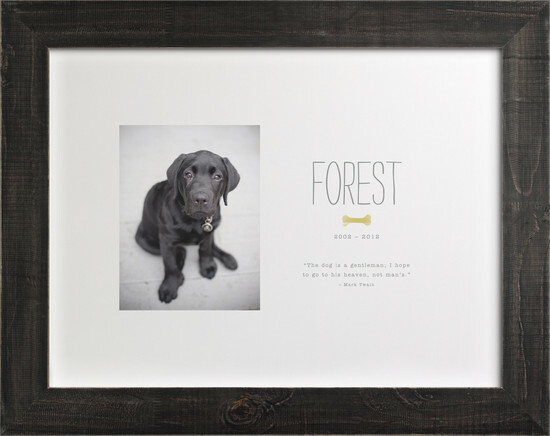 I just now discovered it as I’m writing this post, and I could just about cry thinking of my sweet Zoey and how a print like this to help remember her would be perfect!! FAMILY HEIRLOOM ART – A PERFECT GIFT! 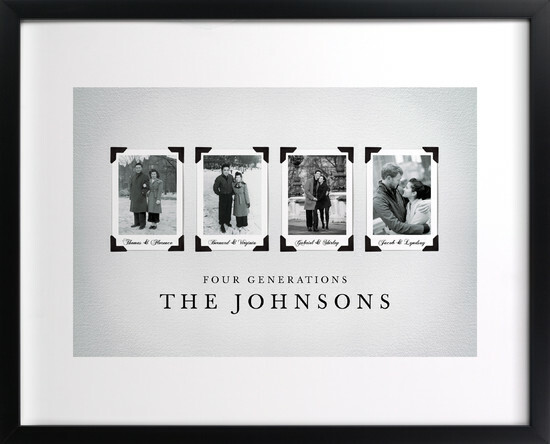 This is such a unique idea to display together four generations in your family in this print. 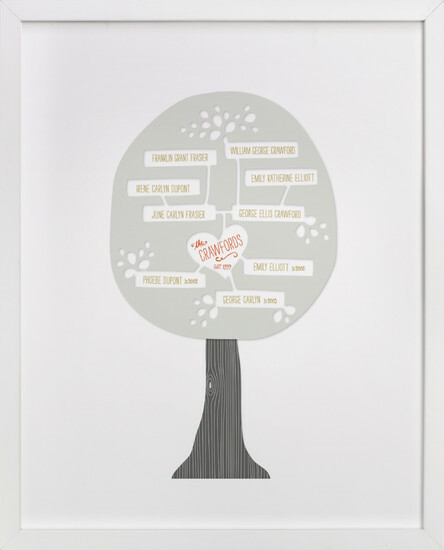 You could also create a family tree like this one. It’s also available in other cute colors. 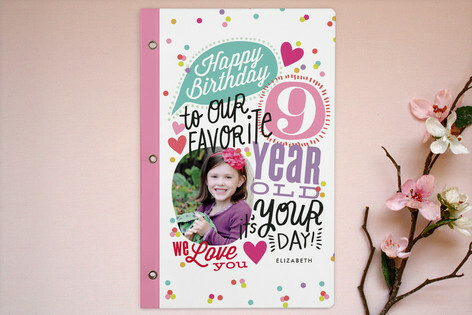 CHILDREN’S PERSONALIZED ART – SO MANY STYLES! 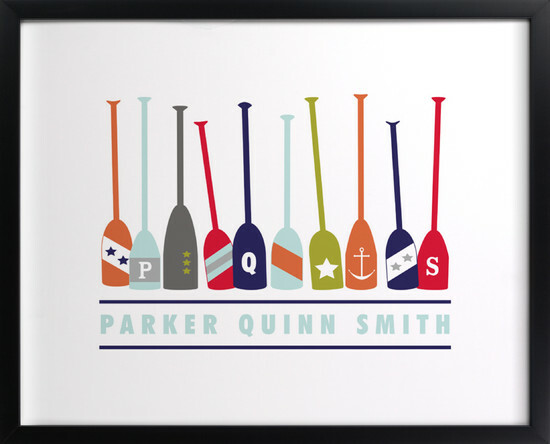 This monogrammed oars art would be perfect in a boy’s room. This nautical design is another favorite of mine – various colors are available. 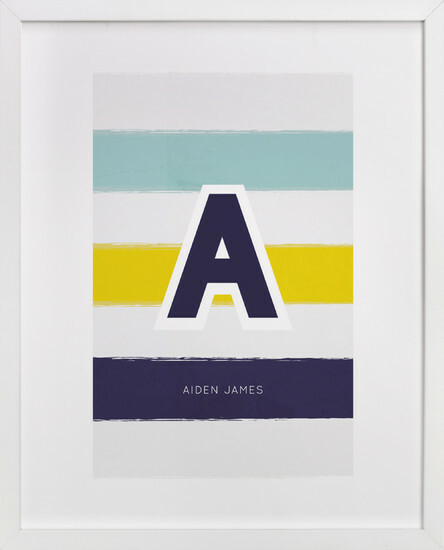 TYPOGRAPHY ART – CHEERY & FUN! This lucky clover print would make a great gift, or order it for yourself for your home! 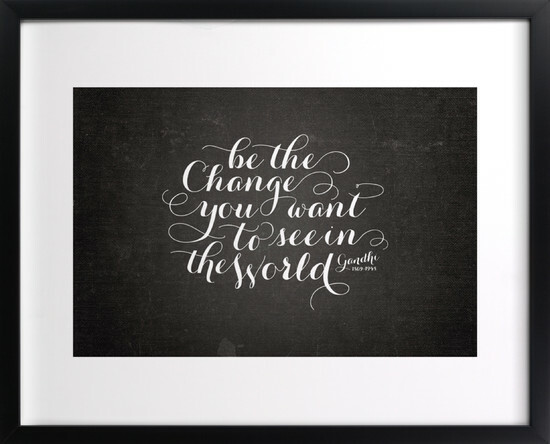 Be the Change You Want to See in the World – love this! 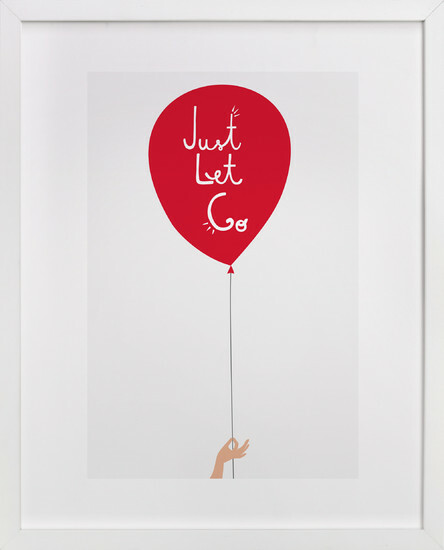 Sometimes we need to “Just Let Go” as this fun print reminds us! 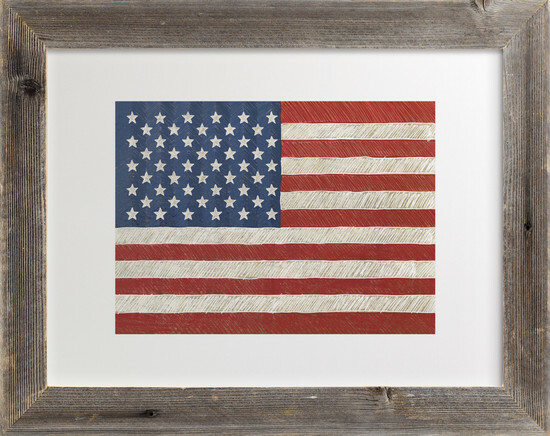 This rustic American Flag art can be ordered as small as 7 x 5 or as large as 60 x 44! Awesome! This is such a fun print! Happy and colorful – and what kid (or adult!) 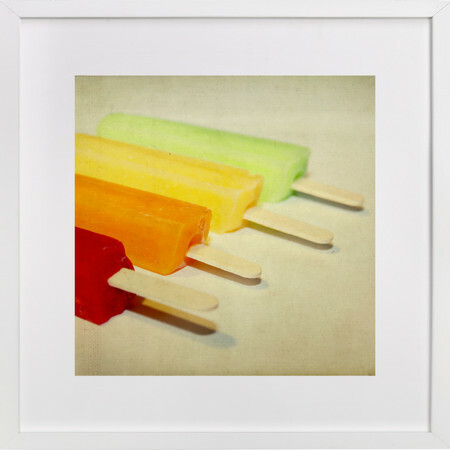 doesn’t love a popsicle on a warm, summer day?! I think this print evokes such positive emotions. 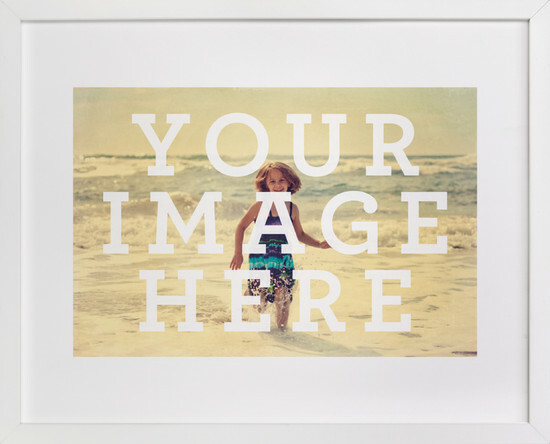 Upload any picture, and have it arrive FRAMED and ready to hang on the wall! 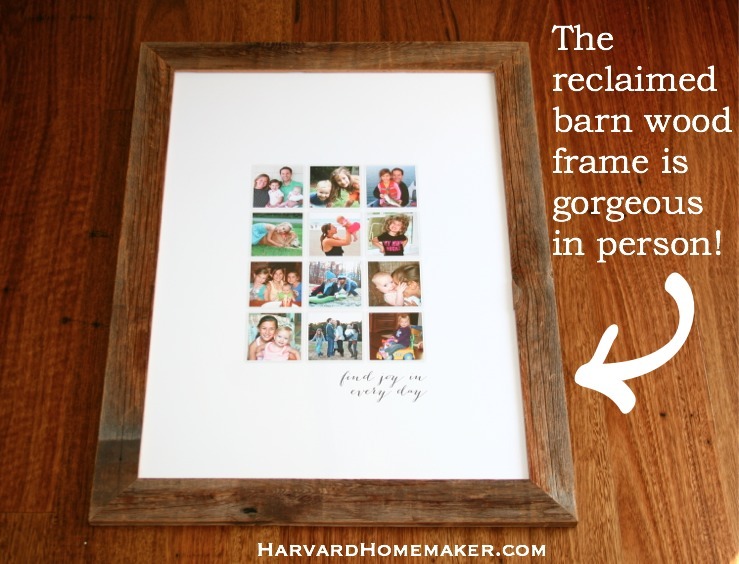 (no more finding time to go to the framing store – which can be so frustrating and expensive!!) I can’t say enough good things about the quality of Minted’s framed pieces – and they have many great frames and sizes to choose from. I love journals!! In this post, I discuss the idea to give your preteen a “Safe Journal” where he/she can ask you anything that’s too hard to say in person! This has been the best thing ever in our house. – Keep one through your pregnancies or while planning your wedding. – Jot down all the funny things your kids say and do through the years (find the perfect journal here). – Keep a travel journal (this is great for kids, too!) to help you remember special trips. – Record your baby’s milestones – this is great if you’re not the type to keep up with a typical baby book. 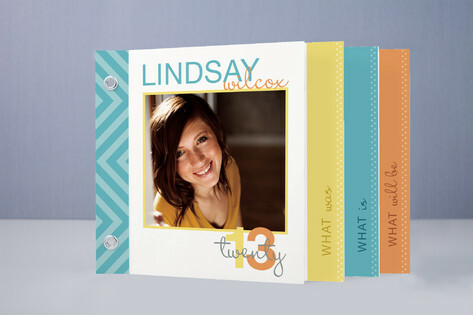 Minted carries tons of great personalized journals… click on the images below to find the two that I’ve shared. 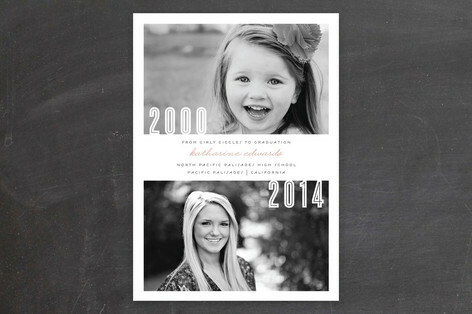 Minted carries a lot of graduation announcements, but I thought this Then & Now design was really special. Similar to the design above, this What was – What is – What will be – design really pulls at the heartstrings!! It’s a booklet style that highlights how your child has grown so quickly. Love it!! 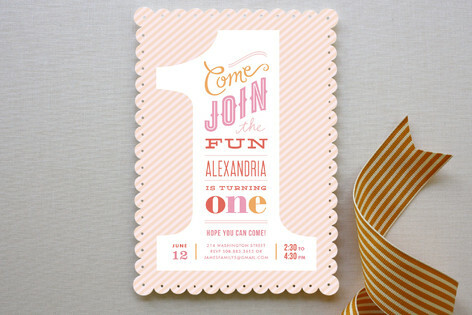 INVITATIONS & PARTY DECOR – COUNTLESS IDEAS! 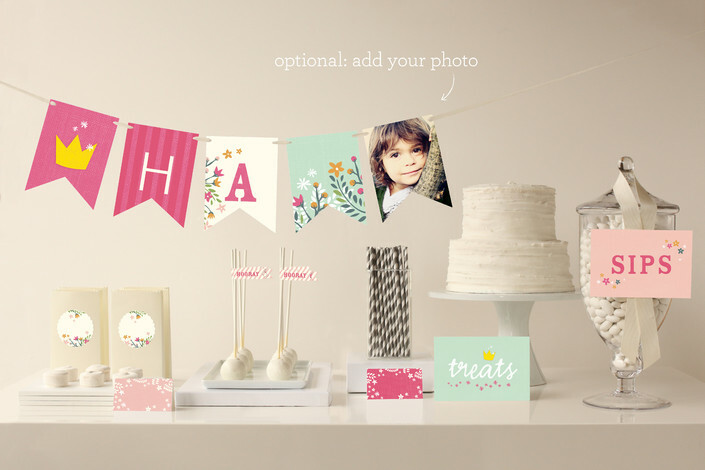 Minted has SO MANY invitations for birthdays, showers, and any kind of party!!! They also carry adorable decorations and banners. Click on the images below to find the ones I’ve shared… so many choices!! WEDDING STATIONERY – UNIQUE, HAPPY STYLES! 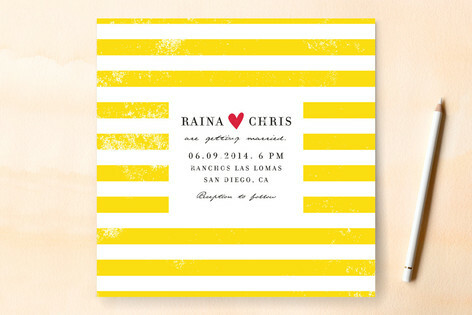 Find so many great designs for your wedding at Minted! 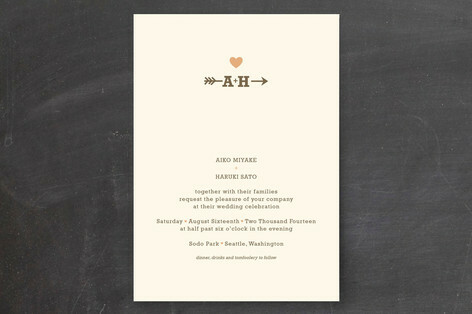 Save-the-dates, wedding invitations, thank you notes, shower invitations… they have it all! Click on the images below to find the ones I’ve shared… so many options!! 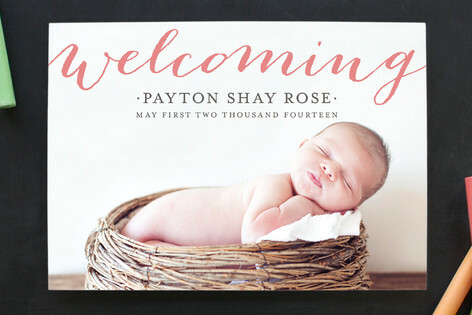 BIRTH ANNOUNCEMENTS – TONS OF OPTIONS! 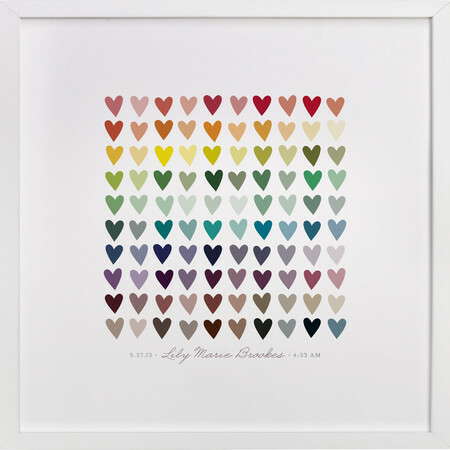 Minted is the perfect place to find your birth announcements, too! 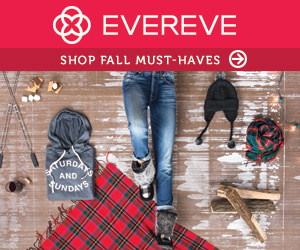 Click on the image below to find the one I shared… countless styles are available! 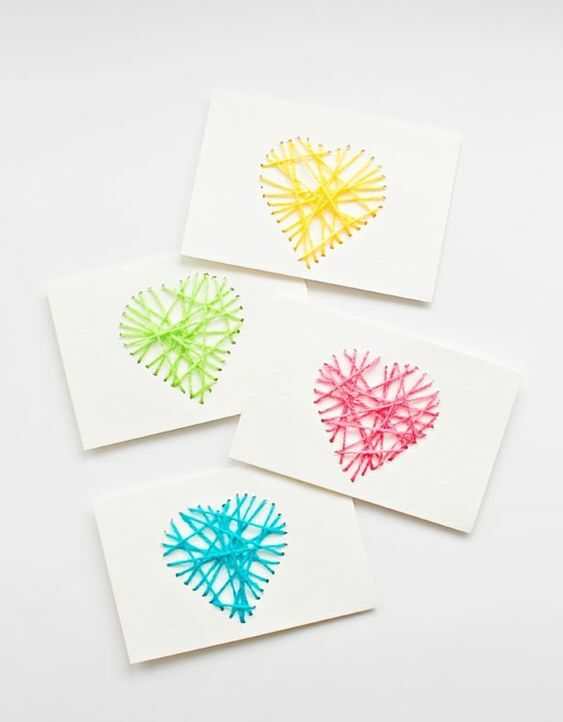 Minted carries a huge assortment of stationery! 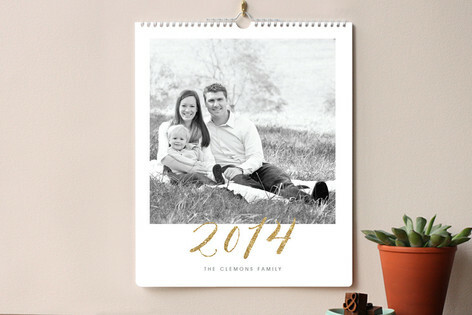 A personalized calendar like the one below would make a great gift or make one for yourself! 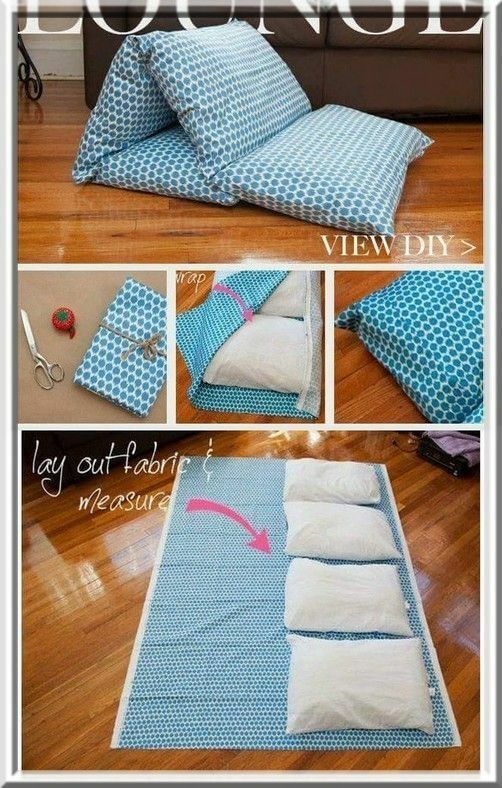 You could also create one for your child to keep in his/her room. It’s a fun tool for them to get a sense of time. PERSONALIZED WRAPPING PAPER – SO FUN! I ordered the wrapping paper shown below (view it in this post), and I loved it! It was such a fun way to wrap our Christmas gifts this past year! They carry various options – you could even type up a “famous” recipe on your wrapping paper. 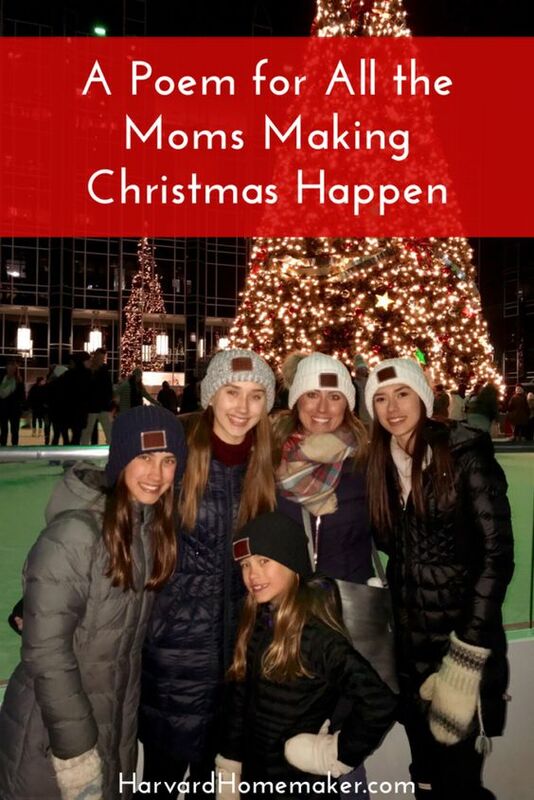 AND OF COURSE – HOLIDAY CARDS! AWESOME QUALITY! I loved the design below because I could drag “Happy Holidays” around so it fit just perfectly around our faces. 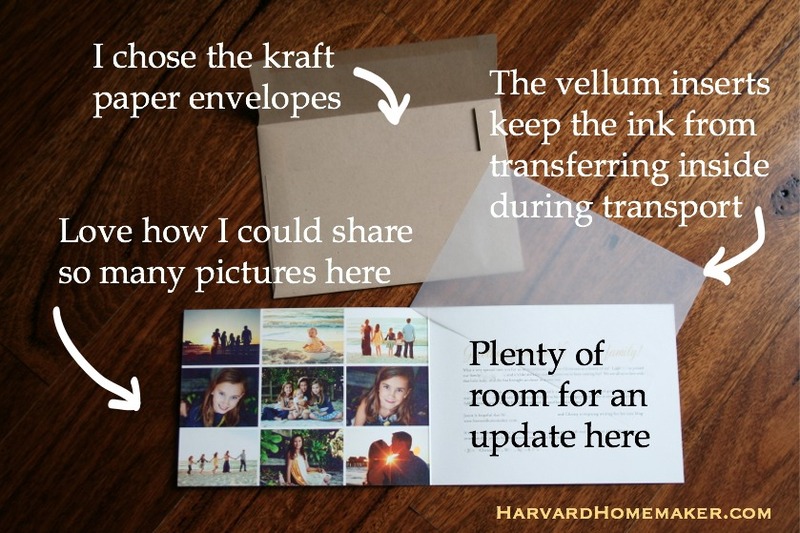 I also chose the brown kraft paper envelopes, and the fold-over style cards as you can see. 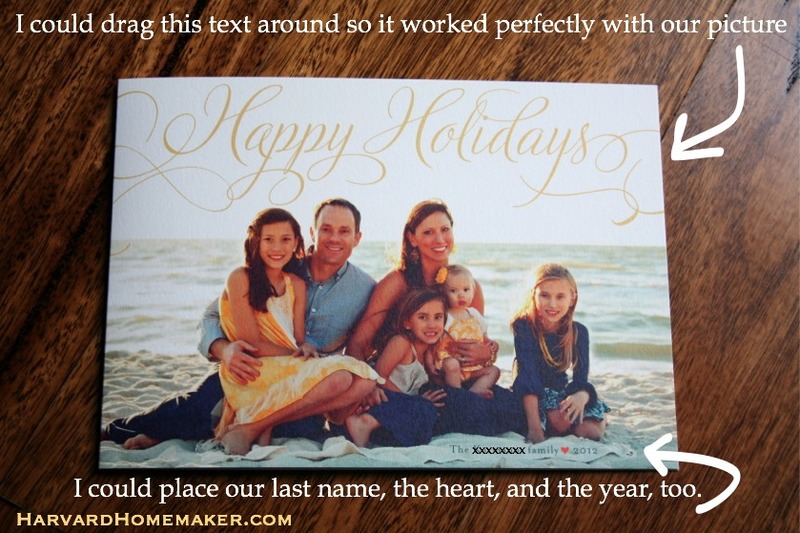 I’m a huge fan of Minted’s holiday cards!! You will not be disappointed! If you’re looking for photo inspiration for your holiday cards, don’t miss this post with 100 photo ideas, and this one with 30 photo ideas that also links you to a card that would work well with each picture! Good luck! 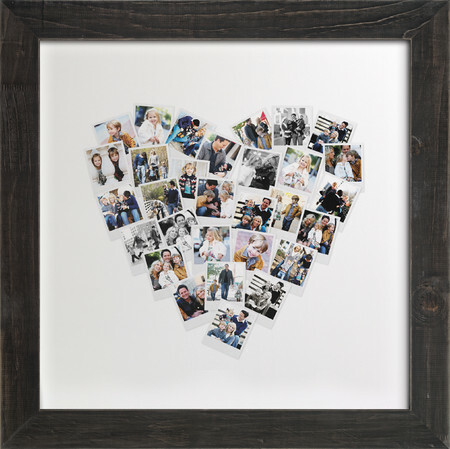 Don’t forget to enter the giveaway for the chance to win $150 at Minted! 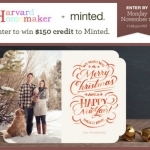 Win $150 to Spend at Minted! Giveaway EXPIRED! 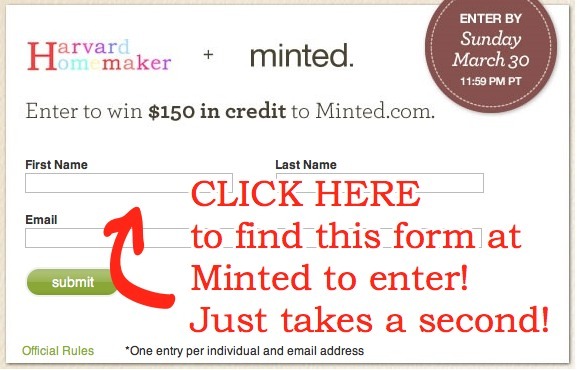 MINTED GIVEAWAY! 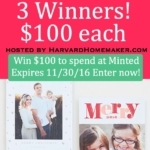 Three Winners to Receive $100 to Spend at Minted! 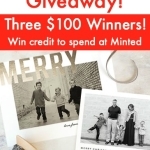 GIVEAWAY: Three Winners Will Spend $100 at Minted! 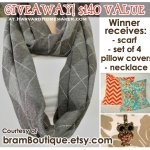 Giveaway: $140 Value from bramBoutique! Expired!!! Giveaway! 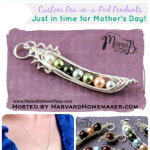 Win $50 to Spend at Mama B's Sweet Peas - Expired!!! 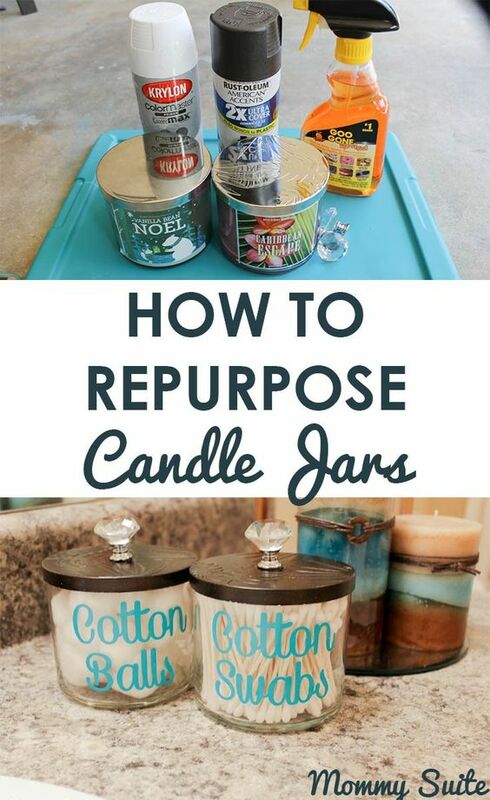 I am so happy I found your fun and great idea filled site Christy! Thanks for the giveaway opportunity! Glad you found me, too! :) Thanks for entering the giveaway! 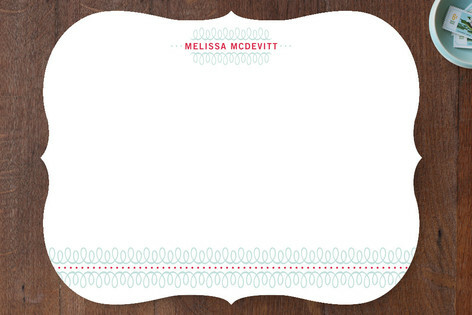 So sorry the landing page is having issues over at Minted! I will get you entered manually!! :) Thanks for letting me know about the problem. Hi! I just love your blog! 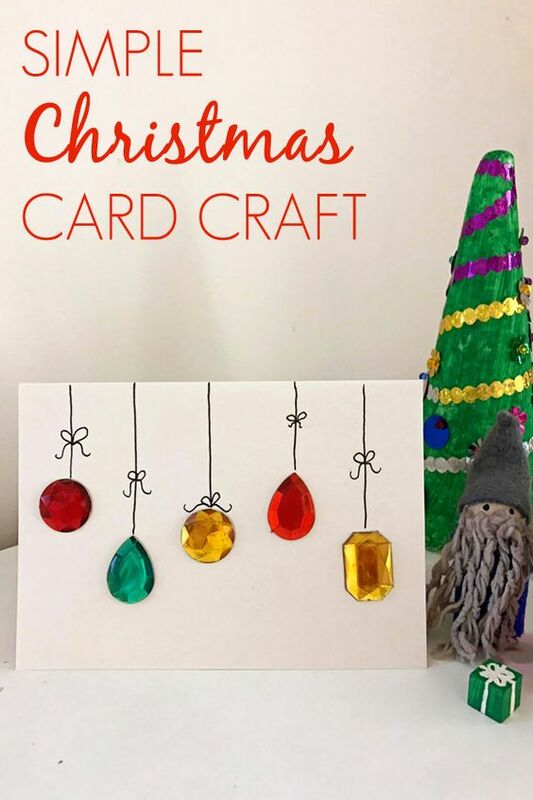 I too love sending cards, etc. throughout the year, so Minted is right up my alley!! Thanks so much for the opportunity to win such a great prize! I have used minted for our Christmas cards for the last few years and am looking forward to using one of their birth announcements later this year! I can’t enter the giveaway on the site but would love to participate! Thanks for putting this all together! I might be too later but I thought I would try anyway. Just found your blog today :) I have a girl myself. You’re so lucky to have four! © 2012-2018 Harvard Homemaker. All rights reserved. You are welcome to use a single photo from my blog as long as you link back to the original post. All photos must remain in their original state. Failure to link back and credit my site as a source constitutes a copyright violation. Also, please note that you assume all risk involved when completing projects and using ideas that are shared on this site. Harvard Homemaker is not liable for any issues that may arise based on the inspiration found here.